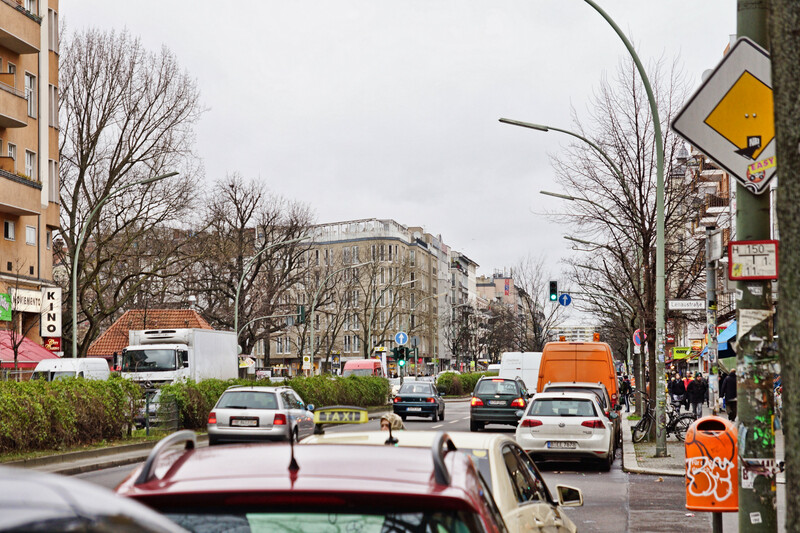 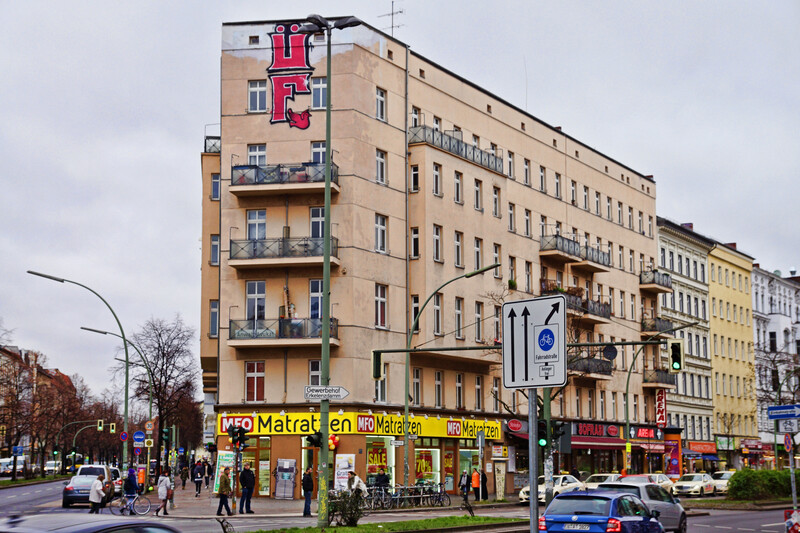 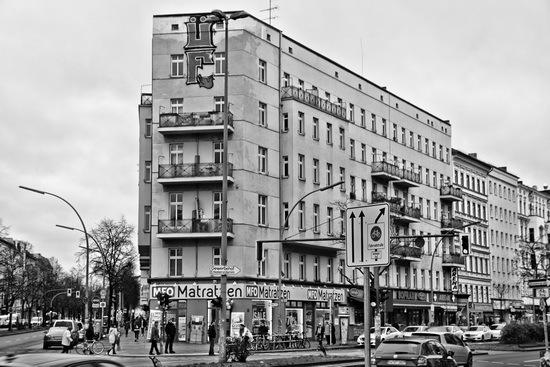 One more view of that wedge-shaped building at the Southeast end of Kreuzberg’s Kottbusser Damm. 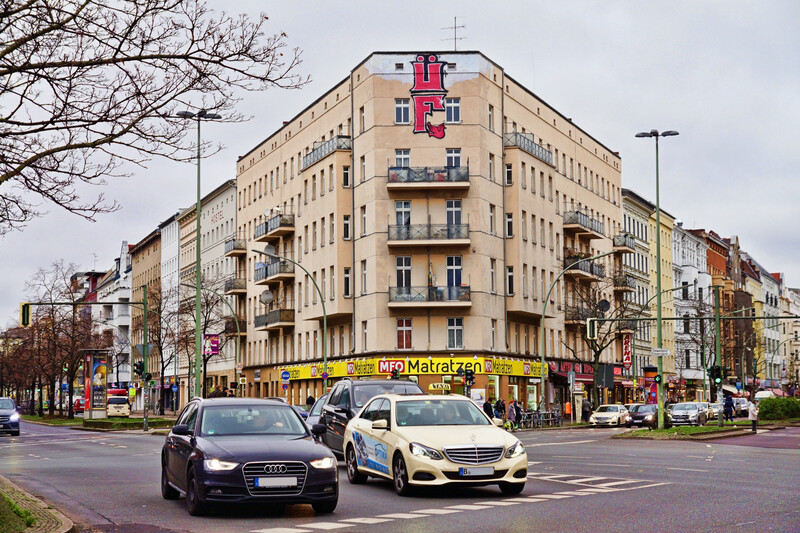 A wedge-shaped building across Berlin’s Hermannplatz. Everyone went shopping between Christmas and New Year’s Eve. 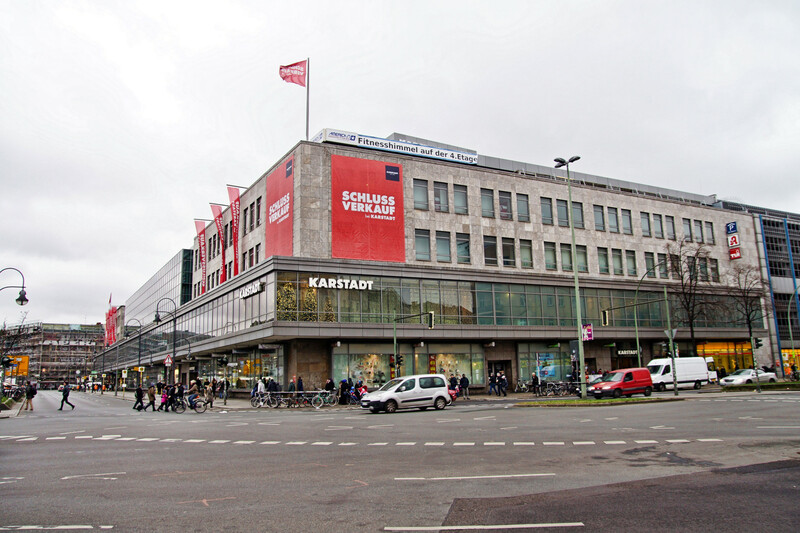 So did I and this was my target – the Karstadt department store on the Hermannplatz.